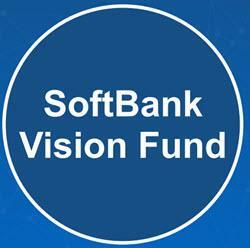 SoftBank has held the first close of its massive Vision Fund on $93 billion (yes, billion) in committed capital, seven months after the Japanese telecom giant announced the vehicle’s formation. The fund has raised eyebrows due to its sheer size—its target of $100 billion is unprecedented in venture capital and private equity. Now SoftBank is close to reaching the 12-figure target for its global tech vehicle, with a final close expected before the end of the year. The size of the fund dwarfs even the biggest PE vehicles in history. Apollo Global Management made headlines last month when it reportedly told investors it's seeking $22.5 billion for its latest PE fund. That would be the largest such vehicle in recent history, but it's still not even one-quarter the size of SoftBank's target. Blackstone, GS Capital Partners, TPG and KKR are the other PE funds to have raised vehicles in the $20 billion range, per PitchBook data. Add up the five biggest PE funds, and that figure comes out roughly to the size of the Vision Fund. Venture capital vehicles, known for making the types of tech investments the Vision Fund is targeting, are typically even smaller in size. Technology Crossover Ventures, for example, raised $3 billion for its seventh flagship fund in 2007, and that fund is still one of the biggest in history. Only industry-leading VC investors—NEA, Andreessen Horowitz, and Menlo Ventures, to name a few—have raised vehicles that total more than $1 billion, according to the PitchBook Platform. Since the fund’s formation, details have gradually been uncovered, with the announcement of the first close confirming several key details. Reports originally had the vehicle pegged as a venture capital fund, but it’s officially classified as private equity, per an SEC filing reviewed by Axios back in January. That filing also revealed that the vehicle will focus on investments that require at least $100 million in capital, a detail that was confirmed in SoftBank’s announcement of the first close. The Vision Fund will focus on a range of technology sectors, with a particular focus on AI, robotics and IoT, among other high-tech industries. Masayoshi Son (right), SoftBank’s founder, chairman and CEO, plans to deploy the vehicle in countries all over the world, but it appears the US may be the single biggest benefactor. In a December visit with President Donald Trump, Son vowed that half the money (about $50 billion) would go to US companies and create 50,000 new jobs. 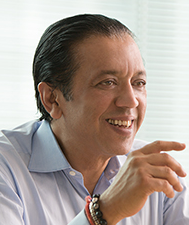 Although the fund will be headed up by Rajeev Misra (left), SoftBank's head of strategic finance, the Vision Fund is a culmination of sorts for Son, who has said he aims for SoftBank to become the world’s most valuable company. He's even outlined a 300-year plan to make it happen, according to a Bloomberg report. Son intends the Vision Fund to be the world’s biggest tech investor over the next decade or so, and with $93 billion in committed capital, it looks like he’s close to making that a reality. The announcement also confirmed the fund’s main backers. SoftBank itself will contribute $28 billion, which will be made up of a combination of cash and equity in ARM, a chip designer SoftBank picked up last July for about $32 billion. Saudi Arabia’s sovereign wealth fund and Abu Dhabi’s national wealth fund are both contributing; reports have said Saudi Arabia’s contribution could equal as much as $45 billion and Abu Dhabi’s will be somewhere in the neighborhood of $15 billion. The other confirmed backers are Apple, Qualcomm and Foxconn along with its subsidiary Sharp. Since the vehicle’s formation, SoftBank has made several big tech investments, some from the Vision Fund, others from the company itself and some that appear to be a mixture of the two—and the recipients give a peek into the type of businesses the fund may back. SoftBank recently confirmed that it will contribute at least $5 billion to Didi Chuxing, the Chinese Uber competitor that announced a record-breaking $5.5 billion fundraise in April. It also recently revealed big bets on co-working space provider WeWork and India’s Paytm, a mobile payments company. 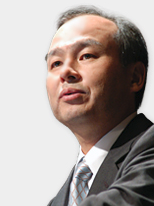 Check out more of our SoftBank coverage.